As Ian Brown’s new release ‘Ripples’ drops, two serial collaborators of the Monkey Man, bring a celebration of 21 years since his debut album ‘Unfinished Monkey Business’ to the Unitarian Church on Ullet Road. 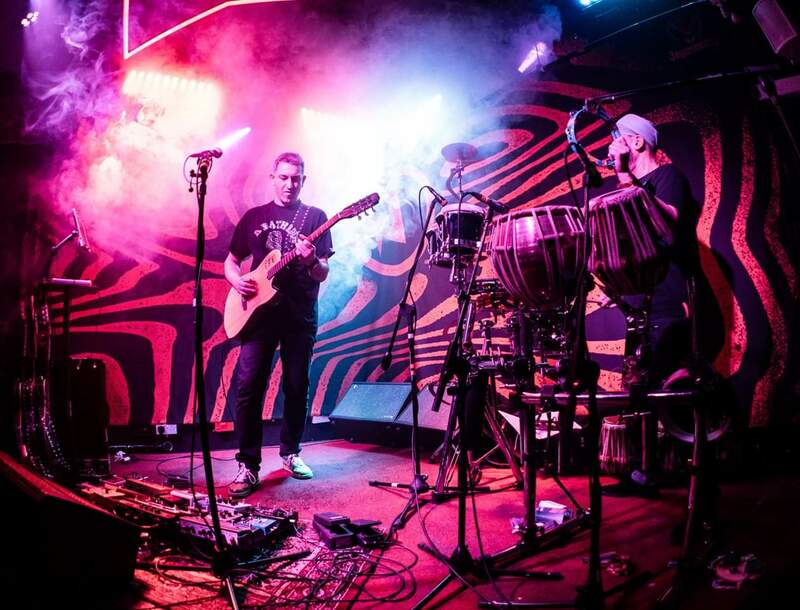 Former Asia, Stone Roses and Ian Brown guitarist Aziz Ibrahim & Ian Brown and Winachi Tribe percussion maestro Inder GoldFinger will come together on the 21st year Anniversary since the release of Ian Brown’s debut solo album, ‘Unfinished Monkey Business‘ to celebrate their collaboration. Unfinished Monkey Business was funded and produced by Brown, enjoyed a Top 5 UK Album Chart position, achieved gold sales in the UK and brought him Top 20 hits such as My Star, Corpses In Their Mouths and Longsight M13. Ibrahim replaced John Squire on guitar duties for the Stone Roses and Goldfinger was a regular on percussion for Brown’s live shows. The tour of intimate performances in unique spaces takes us on a journey, highlighting the South Asian musical expansion of Brown’s songs and calls in to Liverpool’s Unitarian Church on April 26. Support on the night will come from Ian Brown‘s regular tour comrade DJ Lowrider. This is bound to be a special night of rhythm and groove, so get yourselves in the mood. The pair also play Manchester’s Night People on April 27.